You may have received an email from the DOL office of Chief Accountant recently alerting you to the importance of obtaining a quality audit from a qualified and experienced CPA firm. The DOL letter explains that selecting a qualified CPA who has the expertise to perform an audit in accordance with professional auditing standards is a critical responsibility in safeguarding the plan’s assets and ensuring compliance with ERISA’s reporting and fiduciary requirements. 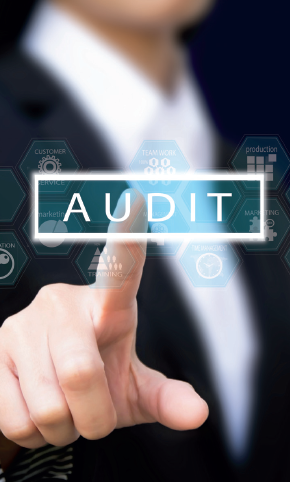 The DOL letter states that employee benefit plan audits have unique audit and reporting requirements and are different from other financial audits, and that substandard audit work can be costly to plan administrators and sponsors. The DOL letter also refers to the recent DOL audit quality study which found deficiencies in employee benefit plan audits (DOL study found at www.dol.gov/ebsa). The DOL letter recommends exercising care in selecting a CPA who possess the requisite knowledge of plan audit requirements and expertise to perform the audit with professional auditing standards. Rest assured that Shannon & Associates is dedicated to providing quality employee benefit plan audits. In this highly important niche practice area for our firm, we have an experienced team dedicated to serving benefit plans. 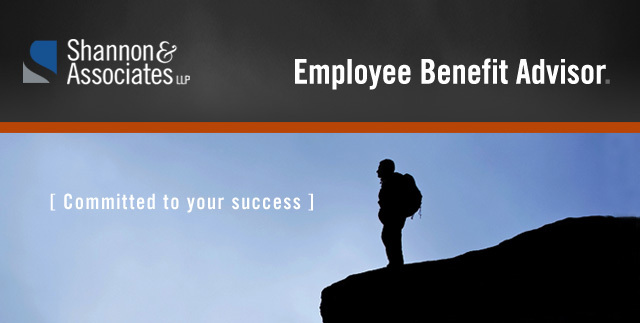 On a combined basis, our partners and staff have in excess of 50 years working on employee benefit plans of all types. Our firm has received 9 consecutive unqualified peer review reports, the most recent in 2015. We are members of the AICPA Employee Benefit Plan Audit Quality Center, demonstrating our commitment to quality audits. As members of this specialized group, we have committed to maintaining a quality audit practice including adhering to certain higher level requirements for training/education, performing internal inspections and including a selection of employee benefit plan audits in our peer review process. Our personnel devoted to serving employee benefit plans receive CPE specifically related to employee benefit plans, such as attending the AICPA National Conference annually, where we hear directly from the head of the DOL and others about important industry matters. Please contact us if you have any questions on the letter. We welcome an open dialogue all year-long with our clients, prospective clients, and our employee benefit plan networking partners. including ASU 2015-07, Disclosures for Investments in Certain Entities that Calculate Net Asset Value per Share (or its Equivalent) and ASU 2015-12, Plan Accounting: Defined Benefit Pensions Plans (Topic 960), Defined Contribution Pension Plans (Topic 962), Health and Welfare Benefit Plans (Topic 965): (Part I) Fully Benefit Responsive Investment Contracts, (Part II) Plan Investment Disclosures, (Part III) Measurement Date Practical Expedient. Typically standards updates require additional requirements and/or disclosures, but in a much-appreciated reversal, the new updates reduce some of the more cumbersome disclosures. The effective date of the ASUs is for plan years beginning after December 15, 2015, however, early adoption is permitted. Retrospective application is required for all periods presented. ASU 2015-07 eliminates the requirement to categorize investments measured at fair value using the net asset value practical expedient in the fair value hierarchy table. Prior to ASU: Plans that directly held investments considered to be fully benefit-responsive (FBRICs) were required to show these investments at “fair value” on the financial statements and then show an adjustment from “fair value to contract value”. ASU Change: FBRICs are to be measured, presented and disclosed at contract value and shown as a separate line item on the Statement of Net Assets Available for Benefits and the adjustment from fair value to contract value is no longer necessary because contract value is the amount participants would receive in a transaction. This eliminates the requirements to measure fair value and present related fair value measurement disclosures. Additionally, the disclosure requirements concerning the methodology for calculating interest crediting rates and the average yield earned by the plan with respect to FBRICs are eliminated. FBRICs held indirectly through investment companies (like stable value CCT’s) are not in the scope of this guidance but should be reported at fair value. The ASU added a requirement to disclose the total contract value for each type of investment (e.g. synthetic investment contracts, traditional investment contracts). Prior to ASU: Plans were required to disclose those investments that represented 5% or more of net assets available for benefits. Plans were also required to disclose the net appreciation/depreciation in the investments of the Plan by general type of investment. ASU Change: Plans are no longer required to disclose this information. However, the aggregate net appreciation/depreciation will still be required. Prior to ASU: Plans were required to group and disclose fair value information by classes of assets based on the nature, characteristics and risks (e.g. balanced, growth, income, international, etc.). ASU Change: Plans are now only required to group and disclose assets based on general type (e.g. mutual funds, common stocks, bonds, etc.). Additionally, Plans will no longer be required to disclose the investment strategy for an investment that is both measured using the net asset value per share practical expedient and is in a fund that files a Form 5500 as a direct filing entity. The ASU allows a plan with a fiscal year end that doesn’t coincide with the end of a calendar month to measure its investments and investment related accounts using the month ends closest to its fiscal year end. The new guidance is an important step forward in simplifying EBP accounting and disclosure requirements. There are some additional details to these involving master trusts, other investment disclosures, etc. For additional information, contact us at Shannon & Associates. April 30, 2016, is the deadline for employers using preapproved retirement plan documents to sign an updated version of their 401(k), profitsharing or other defined contribution retirement plans. Document providers who sell preapproved plans update the plan in its entirety once every six years and request a new opinion/advisory letter from the IRS. 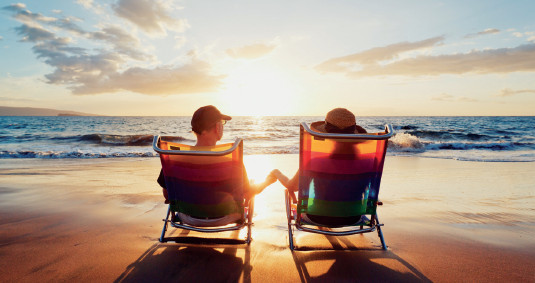 The IRS generally approves all updated defined contribution plans at the same time. Most opinion/advisory letters for the latest round of pre-approved defined contribution plans were issued on March 31, 2014. Employers have two years, until April 30, 2016, to adopt these updated plans (Announcement 2014-16). Most employers don’t need to apply for a separate IRS determination letter for a pre-approved plan. Employers who changed their Volume Submitter (VS) plans can apply for individual determination letters for pre-approved defined contribution plans but must do so by April 30, 2016. An employer who adopts a master & prototype plan (standardized or non-standardized) may not apply for its own determination letter on Form 5307. Instead, the employer should rely on the approval letter issued to the plan sponsor. An adopting employer who made limited modifications to its volume submitter plan may apply for a determination letter on Form 5307, Application for Determination for Adopters of Modified Volume Submitter Plans (instructions). If the modifications are extensive, causing the plan to be treated as an individually designed plan, the employer must instead file Form 5300, Application for Determination for Employee Benefit Plan. will remain the same as 2015 for 2016. Below are selected limitation amounts. Julie is our Director of Accounting and Auditing for Shannon & Associates, is in charge of the firm’s employee benefit plan audit practice. Julie is involved in all aspects of the audits we perform as well as plan consulting and advisory services. Julie has over 21 years of public accounting experience. 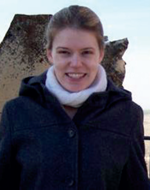 Her areas of expertise include benefit plan and financial audits and financial reporting. Her responsibilities include advising closely-held businesses, internal control review, and various tax engagements. She also assists in quality control and staff training for the firm. Julie attends the AICPA National Conference on Benefit Plans annually. She has served clients in many industries including the following: manufacturing, non-profit organizations, real estate development, wholesale distributors, restaurants, construction (home builders), and professional services. 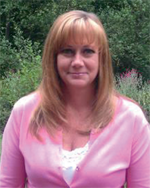 Julie holds a Bachelor of Arts degree in Accounting from Western Washington University. Bethany is our Employee Benefits Consultant, has over 11 years experience specializing in defined contribution plan administration and holds the Certified Pension Consultant (CPC) credential from the American Society of Pension Professionals and Actuaries (ASPPA). This experience, along with her educational background in accounting and attendance at numerous seminars and courses, has resulted in an up-to-date mastery in profit sharing, 401(k), and money purchase pension plans. We encourage you to contact Bethany regarding any questions you may have with your defined contribution plans.